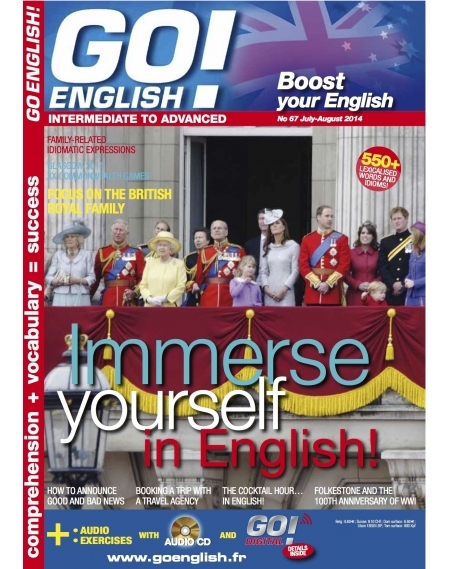 September - October 2014 Hooray for Heritage Open Days! 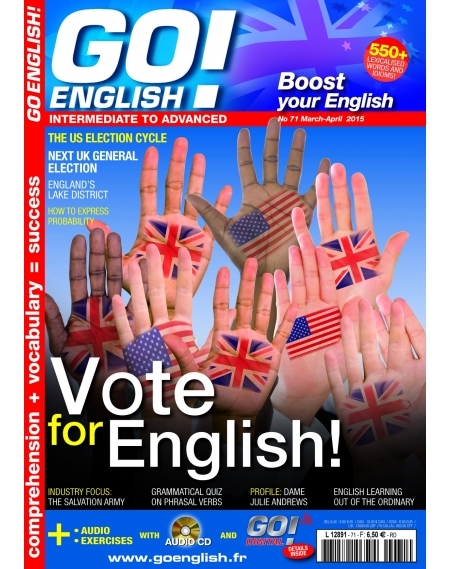 Choosing a university course Bradley J Scott, a volcano specialist at GNS Science, New Zealand The Office for National Statistics : life in numbers Liz Lochhead for Scottish independance! 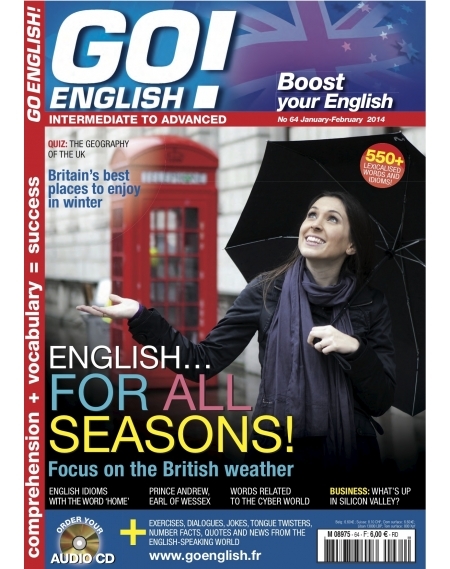 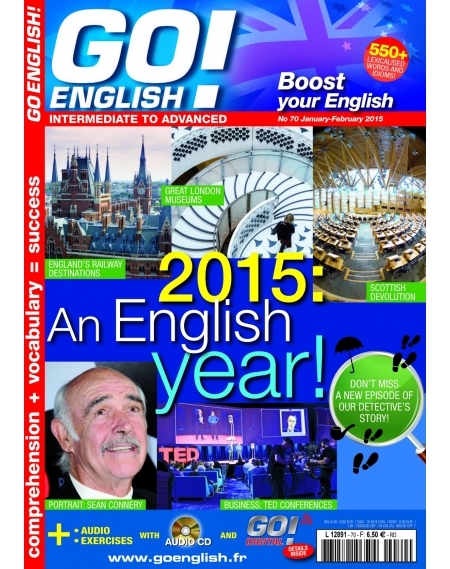 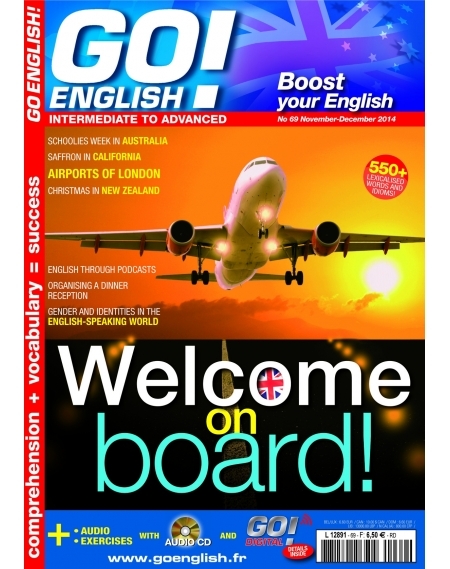 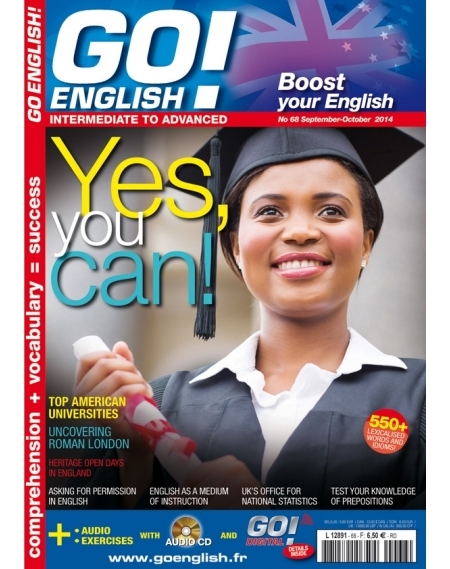 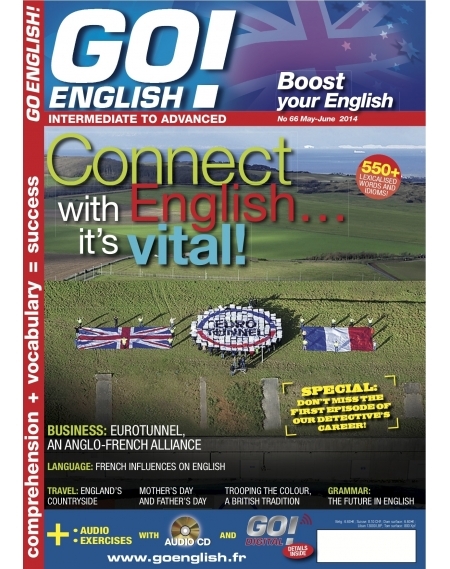 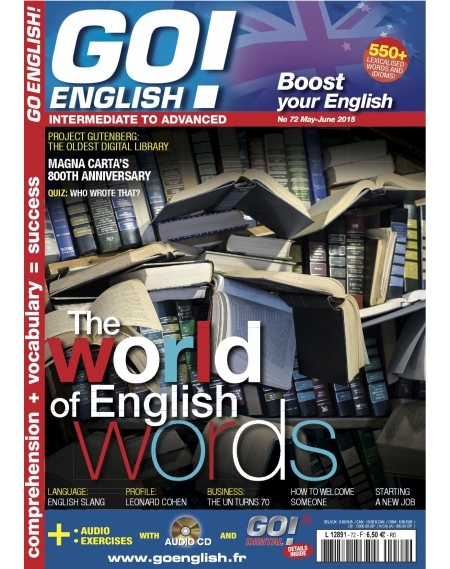 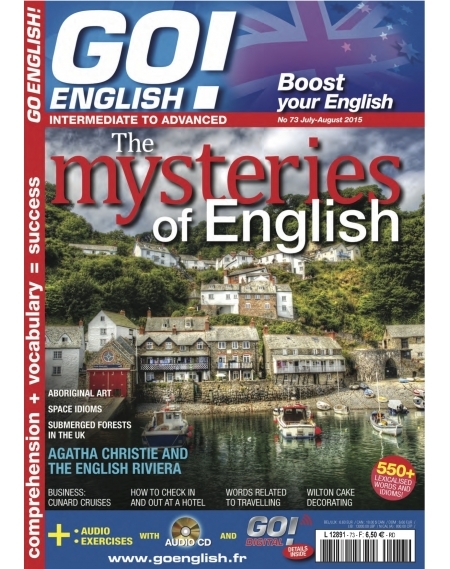 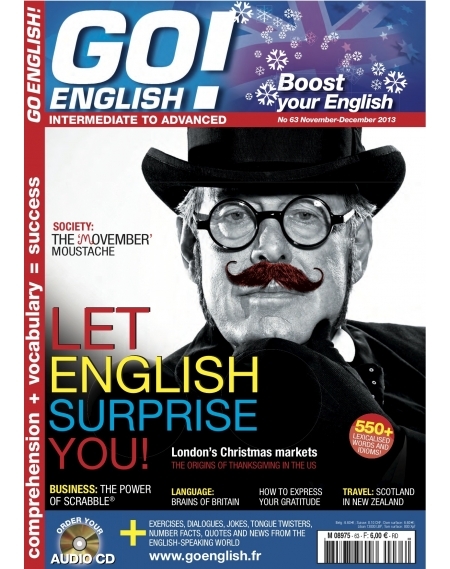 Go English N°64 Janvier-Février 2014 English…for all seasons! 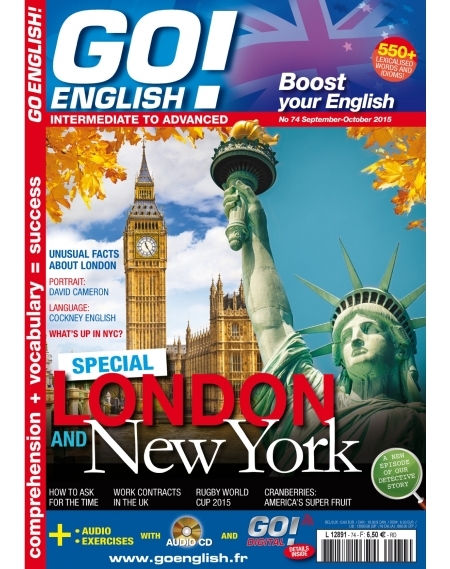 Focus on the British weather Quiz: the geography of the UK Britain’s best places to enjoy in winter English idioms with the word ‘home’ Prince Andrew, Earl of Wessex Words related to the cyber world Business: what’s up in Silicon Valley? 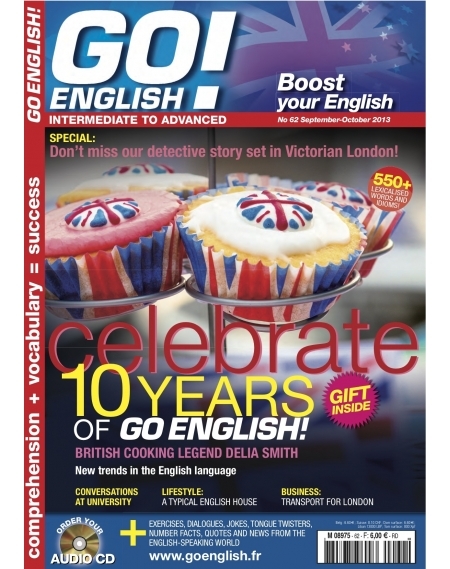 September-October 2013Celebrate 10 years of Go English!British cooking legend Delia SmithNew trends in the English languageConversations at universityLifestyle: a typical English houseBusiness: transport for LondonSpecial: Don’t miss our detective story set in Victorian London!